So you’ve decided to Become A Surfer (awesome!) and now you’re faced with the task of finding a good school/teacher. Of all the thousands of surf schools around, which one do you choose? Let us help you by pointing out a few (very important) things you need to look out for in your search.. LEARN 2 SURF coaches are (ISA) qualified surfing instructors. The ISA certificate is an internationally recognized accreditation. Step 1 in choosing a surf school should be checking that your surf instructor/ surf school is ISA accredited. Safest Conditions : we cancel/reschedule lessons if the ocean conditions are unsafe. Safest Equipment : the gear we use is specially designed for learning to surf safely. 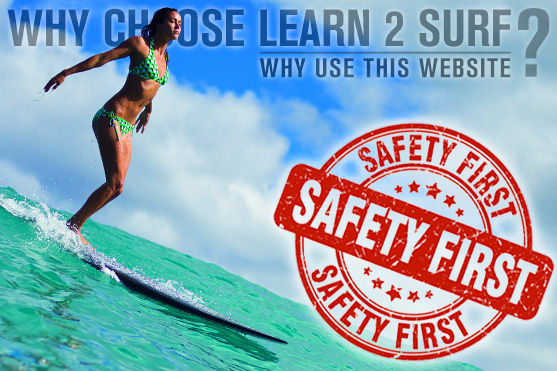 Safest Instructors : LEARN 2 SURF coaches are qualified lifeguards / first aid. We do not over crowd our lessons with too many students per instructor. Many of the larger surf schools put too few coaches (or worse, unqualified coaches) with their students because they simply don’t have enough coaches for all of their clients. Their popularity has turned them into monsters. If you’re not getting attention/feedback in the water from your coach, there is no point in paying for a lesson. Each LEARN 2 SURF school sets their own student/coach ratio – please see the “Max. Group Ratio” on your chosen schools info page. WE PROVIDE ALL THE SURFING GEAR – at NO extra cost! You do not need to have any of your own equipment – and there are NO hidden costs. All LEARN 2 SURF schools provide all the surfing gear you need – surfboards, rashvests, wax, leashes and wetsuits (if required). Our surf gear is designed especially for beginner surfers, making it easier and safer to learn to surf than using regular surf gear. There’s a saying ‘if you pay peanuts, you get monkeys’ – I’m not sure how much monkeys like peanuts – but the point is, if the price is too good to be true, you’re probably getting a bad deal. In Sri-Lanka, the tuk-tuk (taxi) drivers offer their clients ‘surfing lessons’ – they have absolutely no qualifications, and in many cases do not even surf themselves – they simply push you infront of white water and you teach yourself to surf. The more popular a location is for learning to surf, the more dodgy operators there will be there. Ensure you receive the best and safest introduction to surfing by booking with a legitimate surf school. YOU PAY THE SAME PRICE – OR LESS! We do not have any price mark-ups at all. By booking online (on this website) you pay exactly the same price as you would be charged if you walk in the front door of one of our schools. Once you’ve done a lesson at ONE of our LEARN 2 SURF schools (via booking through this website) you are a ‘member’ and qualify for specials and discounts – at ALL of our surf schools. You can hunt through pages of google results, comparing prices and reading reviews – or trust that we’ve done all that for you and that you’ll find the best school, with fairest pricing, in the town you’d like to surf in, right here on Learn2surf.net . 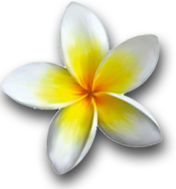 You can rest assured you’re booking with the best surf school in your chosen location – via a super secure payment system – and that all you personal info that you give us (your name, email, etc.) is 100% safe – and will NOT be shared with anyone! Our booking system guarantees your booking is secured as soon as your payment is received. LET’S DO THIS THING ! IT’S TIME FOR YOU TO BECOME A SURFER ! ← Why Book A Surfing Lesson?